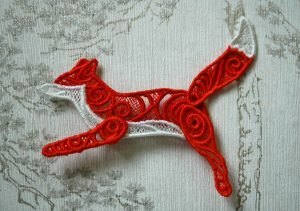 Running Fox lacework hair grip and brooch. Our newest lacework is now live. A little running free standing lacework fox to keep you company! The fox is available as both a hair grip and as a brooch. We hope you like them! Itty Bitty Bats fluttering your way. Our new free standing lacework Bats are new live in the shop. 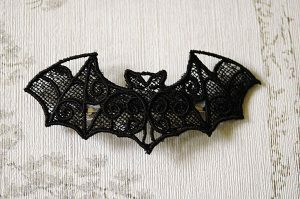 You can get the bats as a hair grip or a brooch. As always they will be added to our Facebook shop in a few days and the Etsy store a while after that. We hope you like them! 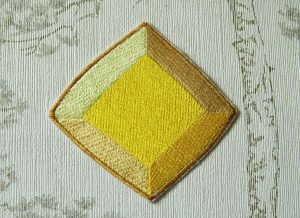 We hope you like our take on Yellow Diamond. She’s live on the site and Facebook, with the Etsy listing going live on Wednesday 25th July. From now on items will go live on the site first and Etsy after. We now have a Zibbet page. We’re trying out a new market place! Due to the increase in the Etsy fees and having to raise our prices we’re looking into other market places for you to order from. Not all items are available here as it’s just the trial page, but why not take a look. We want to deeply apologise for letting the website lapse and not updating and checking it. We found Etsy took up a lot of our time and we let every other site, including our social media, to fall behind. But now with Etsys fee increase we’re back to looking at the site, with a view to let Etsy become a miner part of the way we sell. We’re updating our polices and the stock to add the rest of the items over the coming week, so check back later too see the changes. We hope you’ll give this site a second chance and place be sure we’ll be checking on the site every day!